Finally, we have some fireworks! 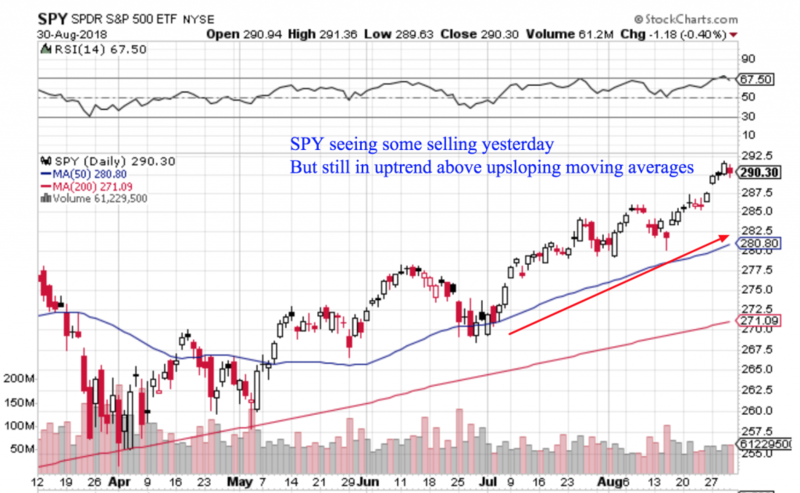 Because after four days higher the major market indexes finally saw some selling yesterday. I think the question pundits will be asking is whether this is a blip on the radar, or the start of something more sinister. So let’s discuss! 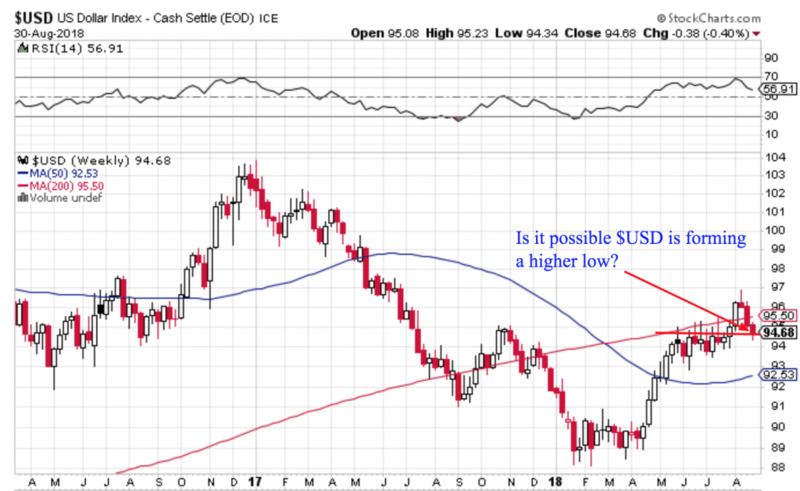 Weekly Market Outlook: Trade War or Technical Excuse? It sounds like yesterday’s sell off was caused by escalating trade tensions between China and the US, according to CNBC. And we could see more weakness today as Trump rejects EU trade ideas. But I’m not convinced that’s the real reason for the selling. Because sure, the headline of an additional $200 billion in tariffs sounds alarming. However, don’t you think the market already had some idea this was already on the way? Plus, it completely ignores the simple explanation of technical analysis and basic market mechanics. In my experience trading, the calendar often has some interesting nuances on price action. As we head to the end of the week and month, it’s likely that market participants will do a little rebalancing of their portfolios (especially after such a strong summer for stocks)! So I wouldn’t be surprised by more short term selling for this reason alone. Not every blip on your chart is a result of a catalyst. That’s also why I prefer to base my trading decisions on the trend lines, rather than the headlines! And barring a disaster today, it looks like the August monthly candlestick will be quite bullish. I truly believe that you can make the most money by cutting losses quickly and letting winners run. But it’s hard to cut losses if you’re intellectually married to an idea. Because for smart people (like you, I imagine), admitting you’re wrong is hard. Especially if you’ve already told people publicly about your thesis! This emphasis on narrative is also why focusing too much on finding a reason for price moves can be dangerous. It takes you away from the reality: that price just is. It sounds a bit silly, but it’s true. To repeatedly make money in the market, you need to put aside your intellectual desire to be proven right, and instead manage risk and try to take as many high-probability bets as you can (and let the winners run). Being right is different from being profitable. It’s not intuitive. But it’s what worked for me in terms of getting consistent and repeatable results. Because remember, my trading systems don’t have inputs for breaking news stories. Instead, I’ve found trend lines to be much more informative and actionable than headlines! So the point of all this preamble is simply to encourage you to decouple your interpretation of price action from news stories. It helps to have a clear mind and be open to possibilities, especially when reorienting yourself with the big market picture. Now as you are probably sick of hearing me say, I’m still overall quite bullish. Indexes are at all-time highs. For the most part money seems to be rotating around sectors of the stock market, rather than moving to cash. And while a little more end-of-month profit-taking wouldn’t surprise me, I remain optimistic in my outlook. That said, I don’t want to be complacent either. If the facts on the ground start to change, I’ll adapt my interpretation. So in the interest of balance, there are a couple of potential weak spots I’m watching into the end of the month and week today. Even though I have a book full of long ideas, I like to keep an eye on possible problem areas. It helps me feel like I’m being proactive, which helps me stick to my trading plan overall. When things do hit the fan, it also helps to have a clearer and objective picture of how the price action has been developing. So right now, I’m still concerned first and foremost with emerging markets. While the bounce this week started out strong, it’s fizzled a little bit since. And given the bigger-picture downtrend, it wouldn’t surprise me if we see a little more selling into the weekly close should rotations out eclipse new money in. If you’re new here, you can go back and look at old trend letters to see how I’ve been watching this slow-motion train wreck carefully. The other concern I have here is that a strengthening US economy, and dollar, could draw money back in the US. Volatile hot spots like Argentina, Brazil and Turkey don’t help the narrative either. So into the end of the week, I’ll be watching if support becomes resistance. 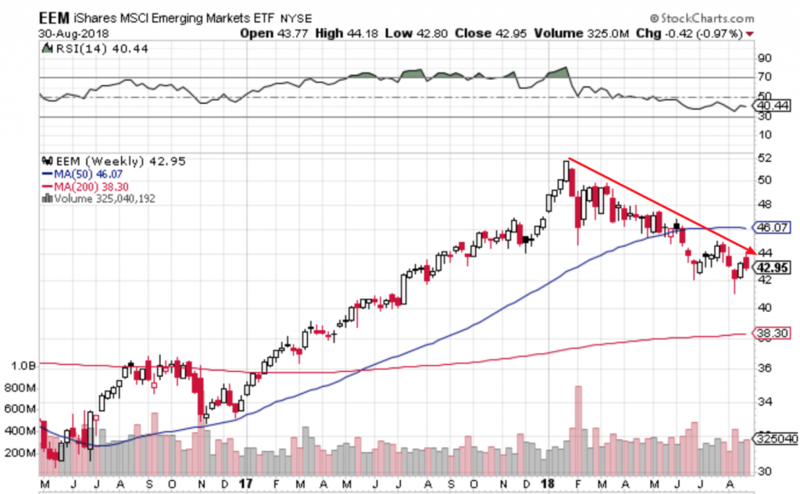 Further strength here could dovetail with EEM weakness. And as more narrative points begin to build we could see worry start to spread. But only time will tell if the leading US tech and consumer discretionary stocks can get taken down. For now though, there are still lots of charts that are looking strong, even with a bit of a fade to end the day yesterday. Let’s take a look at a few of my favourites. 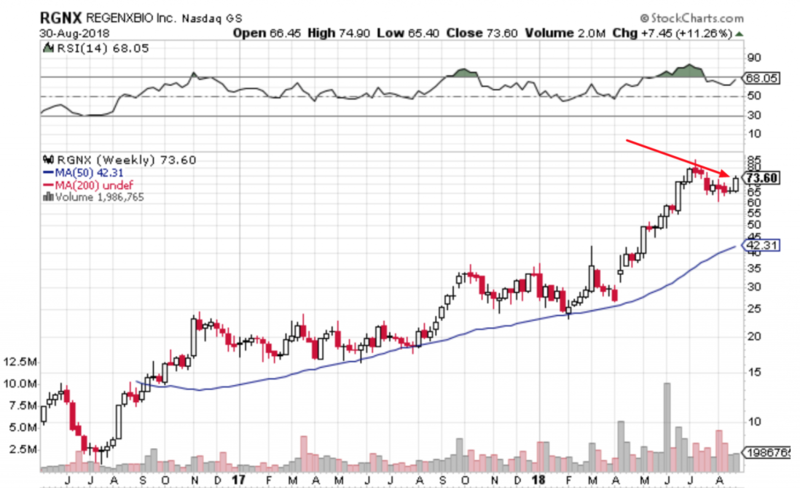 SSTI – This one has just gotten moving yesterday and I’m very pleased to see it now up over 100% since I first alerted subscribers of my buy. 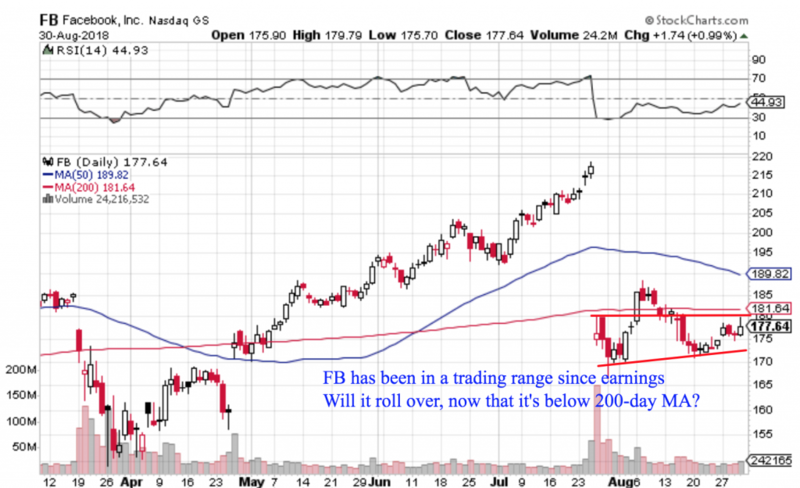 I’m continuing to hold and will hope to trail my stop loss higher into the weekly closing bell. QDEL – After weeks of consolidation QDEL is finally getting moving again. I’m hoping it can keep pushing higher, or at least hold up in the face of broad market weakness. 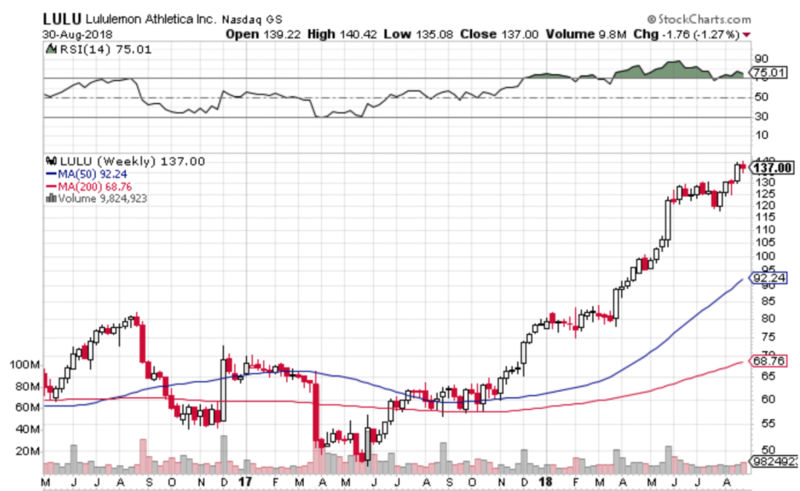 Relative strength on a weekly close would be a fresh compelling buy signal for me. 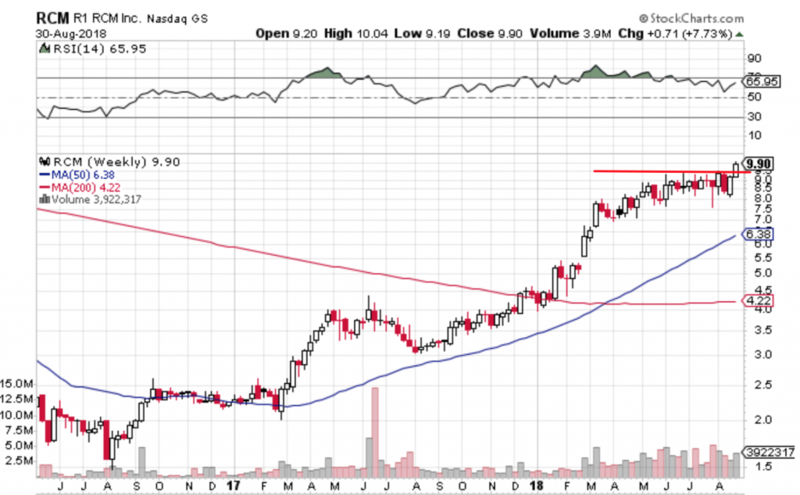 RCM – Here’s another stock that has taken a lot of time to get going the last few months. And to be totally honest I’m still not 100% convinced this move is going to stick given all the back and forth we’ve already seen. 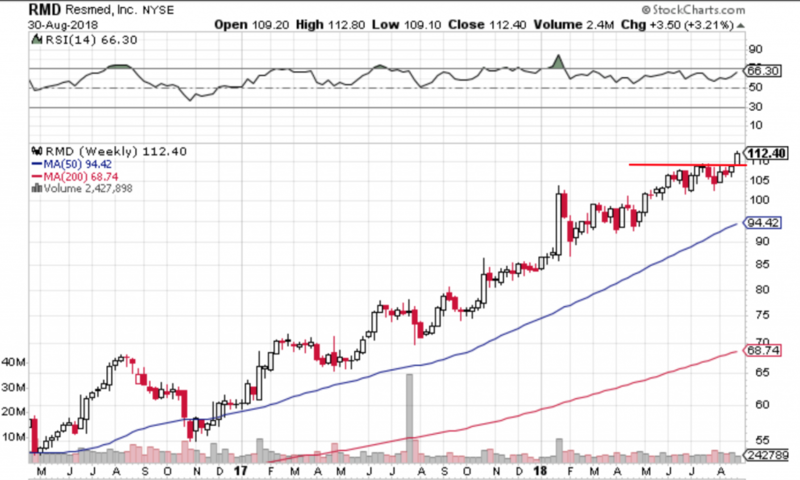 RGNX – If you don’t want to buy stocks that are so extended, then you might want to give RGNX a look. 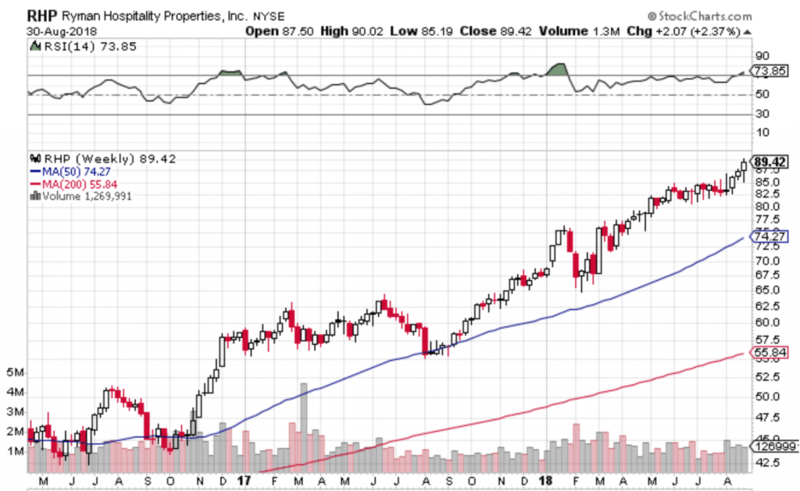 It’s bouncing alright, but it’s recently pulled back quite a bit and this new 20-day high could be an appealing entry from a risk/reward perspective with a stop 1 ATR below the recent trading range. 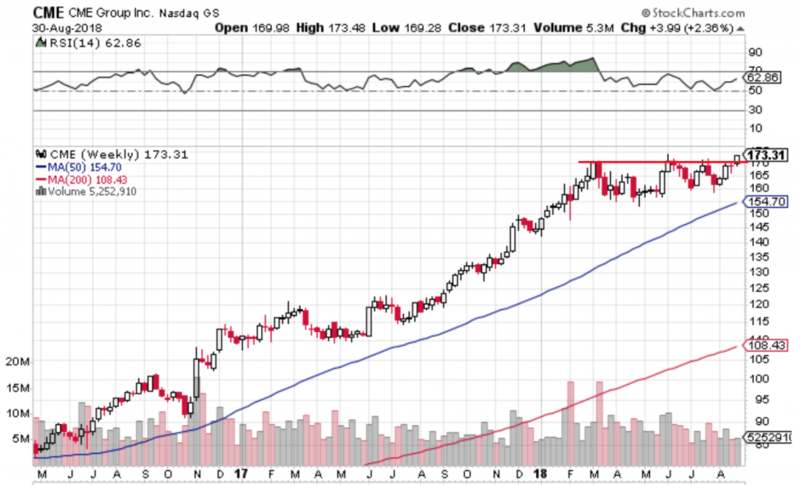 LULU – I know this one has already gone up a lot, but it looks set to pop again at the open after reporting strong earnings results last night. 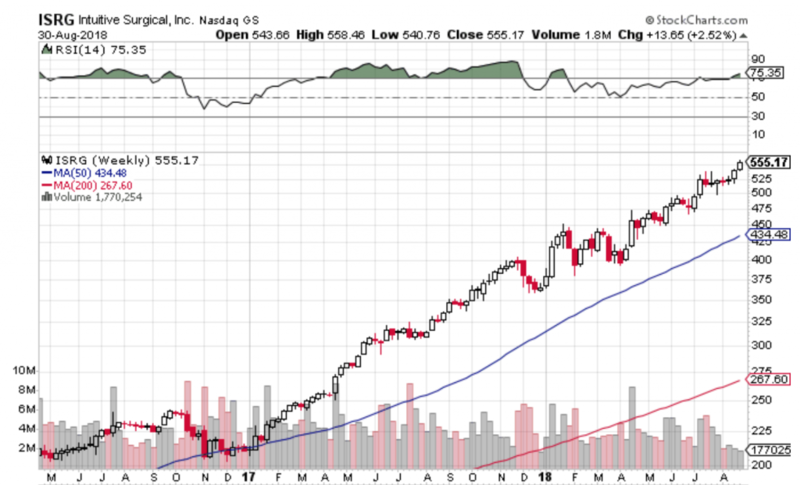 With the rest of retail performing well, I think the prospects for continued LULU upside could be compelling. 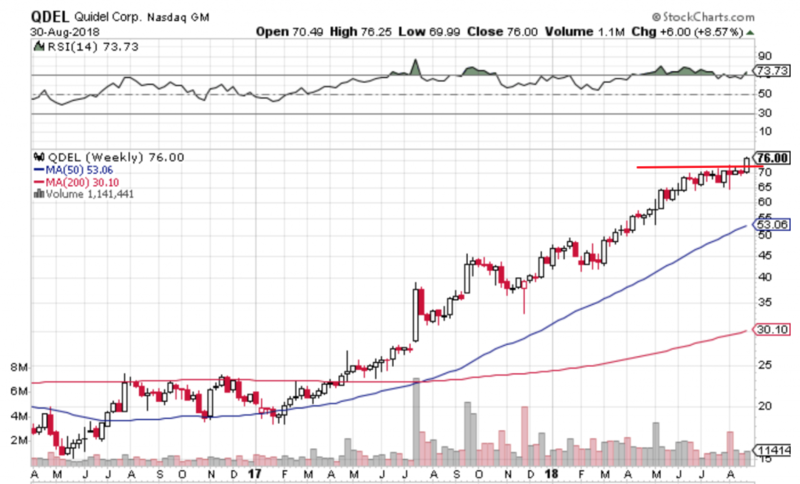 CME – Great business that’s just starting to get moving again after a long consolidation. It has a similar look to many of the breakout charts above. So I think this is a great looking ptattern that could certainly keep running in the weeks ahead if the broad market is accommodating. ISRG – Speaking of great companies, here’s one of my all-time favourites. It’s again at new highs without being too extended. And I don’t see why it couldn’t keep coasting; as seemingly, that’s all it does! 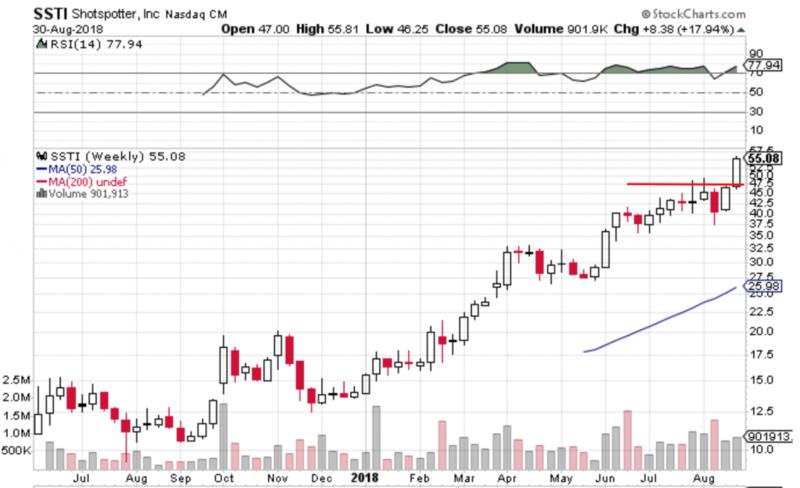 RMD – I know some of these stocks are expensive and thus a little harder to buy if you’re just getting started. But these trends, and breakouts within them, are practically textbooks. If you’re building wealth for the long-term I think the quality is worth paying up for. So I’m hoping to see a weekly close at the highs in which case this would be an even more compelling buy signal. Now as always, here are a few thoughtful articles full of rich ideas to keep you thinking smarter and living better. “Clinging to bearish narratives is always intellectually more palatable, but it’s important to at least dismiss common heuristics when evaluating whether the market is in the “late innings”, and take a clean look at the unique economy we currently live in today.” What Inning Is The Market In Today? Alright, that’s it for now! Let’s see how things shake out at the close and I’ll be back at you Monday with another update. For more commentary and ideas throughout the day, you can find me on StockTwits and Twitter sharing ideas. Any questions or ideas of your own? You can shoot me an email or comment below. Happy trading and have a great weekend!